Manufacturer of a wide range of products which include kids basic polo t shirt and pc basic polo t shirt (female). With the support of vast infrastructure, we are involved in offering highly demanded Kids Basic Polo T Shirt. Ribbed sleeves, classic spread collar and two button placket make these t-shirts the best selling item in the segment. Loved by men, women and kids these polo t-shirts are made from 100% cotton material and can be worn all day long in harsh weathers. Further, we are providing these stunning pieces in varied colors and sizes at a leading price. With the aid of advanced fabric weaving techniques, we are instrumental in offering high quality PC Basic Polo T Shirt (Female). Made from skin soothing material the offered t-shirts are the best options to add elegance to the style statement. The classy polo neck works best for offices and casual daytime gathering. 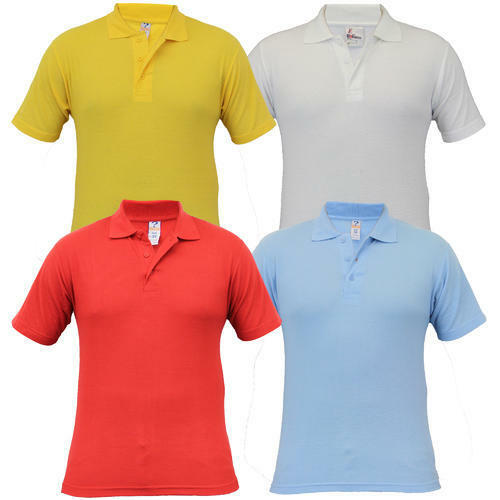 Further, we stock a vast range of colors in basic polo style t-shirts that can be ordered at a leading price. Looking for “Basic Polo T Shirt”?